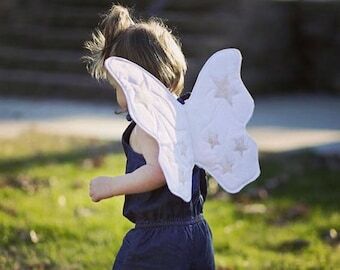 Heirloom quality, quilted white and ivory butterfly wings for pretend play, kids costumes, dress up, make-believe, imaginary play, or toddler costumes. A beautiful photo prop for your holiday or birthday photoshoot. 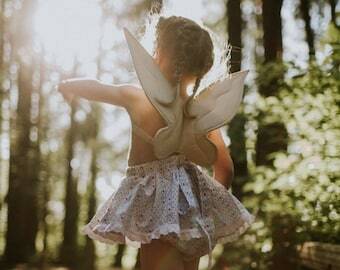 Would be beautiful for a little flower girl or for everyday fun! 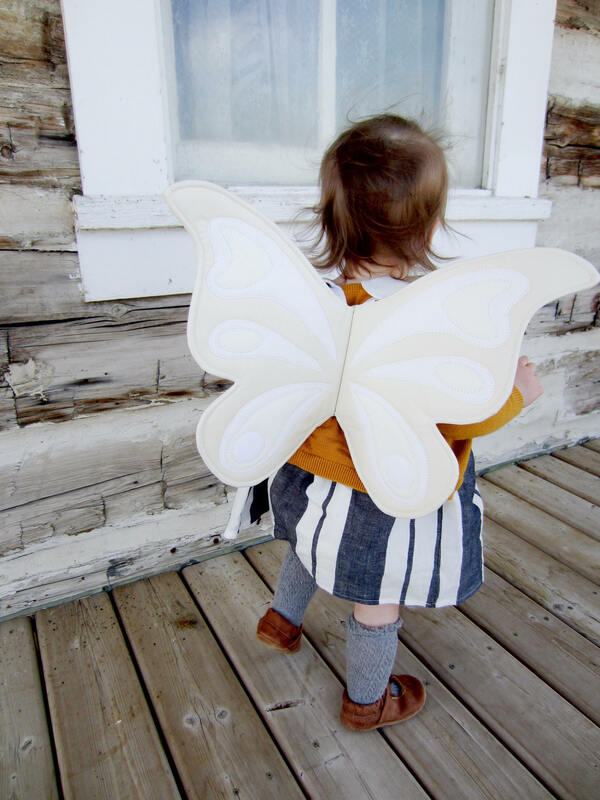 Your little one will look so adorable in their cream butterfly wings with white and cream accents! Order a coordinating wand! Wand will have a cream colored star or heart topper with assorted cream and white ribbons. Please specify star or heart in the notes to seller at check out. These wings are beautiful! My 16 month old loves them! They are great for playing and pictures. Seller is great to work with. I definitely recommend getting these and we will be purchasing again. 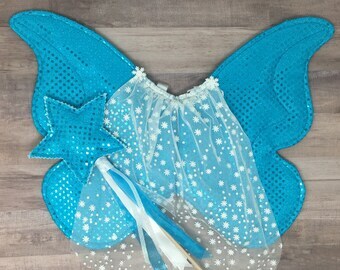 These wings are the cutest thing and so well made! We've already purchased another pair!